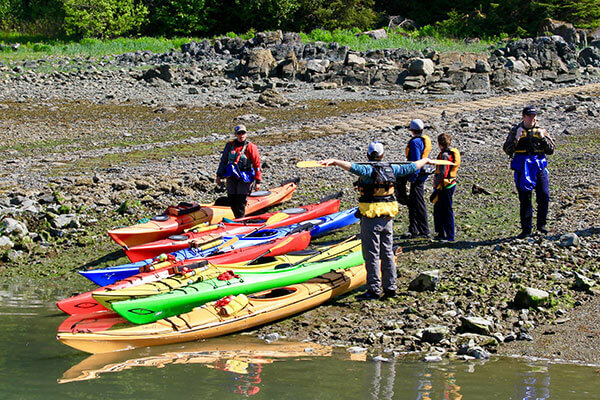 The Alaska Boat and Kayak Rental Shop is committed to promoting safe kayaking and paddle boarding in our local waters. Our classes are taught by American Canoe Association certified instructors with wilderness guiding backgrounds. Most classes are geared towards small-groups of 5 or less, other classes may have up to 10 participants. Private instruction and special events are available upon request! Class Participants must be at least 16 years of age – parent/guardian must sign release of liability waiver prior to their child participating. All participants must know how to swim and sign a release of liability waiver before participating in any classes. For information specific to each course, click on the individual listings below.